Well here's your chance to grab life by the book-balls! Our Strong Woman Kim Nash is here to share her experience and top tips with you all, because YES you can start a book club and YES people will come. If you wanna do it, in Kim's words, just do it. Being a bookworm all my life, I’ve always fancied being part of a book club but hadn’t seen anything locally that I fancied going along to. So when a friend of mine, tagged me in a Facebook post in August 2015, which had been posted by a local café owner, saying that she’d love to host a book club but didn’t know how, my ears perked up and I dropped her a message straight away. We to meet up the following day. I went along to Mim’s Café and Coffee Bar in Bridgtown, Cannock and immediately warmed to this vibrant, welcoming hostess and the gorgeous vintage café setting and we chatted for hours getting on like a house on fire. We decided that we were just going to go for it and see what happened, so got our diaries out and booked dates for the rest of the year. We advertised it in local Facebook groups and got lots of interest. Our first Book Club At Mim’s was in September 2015. One thing that is a little different about our book club is that we don’t choose a book of the month. We decided that life is too short and there are too many fabulous books in the world, to read books that we really didn’t want to read. I also know so many people who moan that their book club is coming up and they haven’t read the book or didn’t like it, so they weren’t looking forward to that month’s meeting. We wanted ours to be something that everyone loved and couldn’t wait to come along to. We also wanted it to be something that people can dip in and out of and if you can’t come along one month, you don’t have to feel guilty. Lives are busy after all! We invite an author along to talk about their author and publishing journeys. We’ve had some amazing guests including Miranda Dickinson, Carole Matthews, Angela Marsons, Cathy Bramley and Mark Edwards. This is such a great part of the evening for us. Our members love that they get to meet real life, actual authors! LOL! So, in September 2017, we celebrate our second year of Book Club at Mim’s. What’s been lovely is that we have ladies that come to book club who say that it’s changed their lives. We’ve reconnected with old school friends and have made new lifelong friends and have given some members a new lease of life. And the magic ingredient at our book club is obviously CAKE! Mim makes the most lush, delicious cakes and they’re an integral part of the evening. 1. Just do it! Don’t sit and wish you could do it, or wish that you have a book club near you. YOU have the power to make it happen. It’s really easy, you just need to get on with it. It’ll be so rewarding, I promise. Finding new book friends that understand your book geekiness is awesome! 2. At our first club, we asked people to let us know a bit about themselves. About whether they’d been to a book club before and what they’d like to get out of a book club. Ask them what books they like to read and just get to know each other a little bit. Everyone will probably be a bit nervous to start with but it’s going to be awesome, and everyone is very probably in the same position. 3. Find a fabulous venue to host the book club and find a time to suit everyone. We played around with daytimes, but found it difficult at the venue was open so now hold it in the evening when the café opens up specifically for us. Pubs can be hard to meet in because of all of the background noise. I’d recommend finding a local café that would be prepared to open up or a pub with a function room that’s not being used. They’ll make money on food and drinks and cake of course. Other venues might be church halls, libraries, bookshops, hotels but do think about the catering and drink facilities. 4. Use local Facebook groups to advertise. There are loads of book lovers out there in the world. Invite people to come along and try it out. We also have a Facebook group for members and non-members so we can advertise great deals and put links to books that we’ve read and enjoyed. You could also advertise or put posters up in local shops and libraries. And maybe get a feature in your local press. 5. Make it informal and enjoyable, but it does need a format and someone to lead the meeting and pull it back into line. Everyone laughs at me because I’m a glass clinker. When everyone goes off and has their own conversations, it’s time to chink that class and get everyone to focus. Our format is that we go round the room chatting about the books we read, there’s lots of one-clicking going on and I’m sure there’s a surge in Amazon’s takings on the night of our book club, and then we break for tea and cake and then we hold the author interview. Sometimes the authors will do a reading from their latest book. We ask authors to bring along some books to sell too. We love a signed book at Book Club at Mim’s! So what are you waiting for? Go set up a local book club! Good luck and happy reading and sharing. 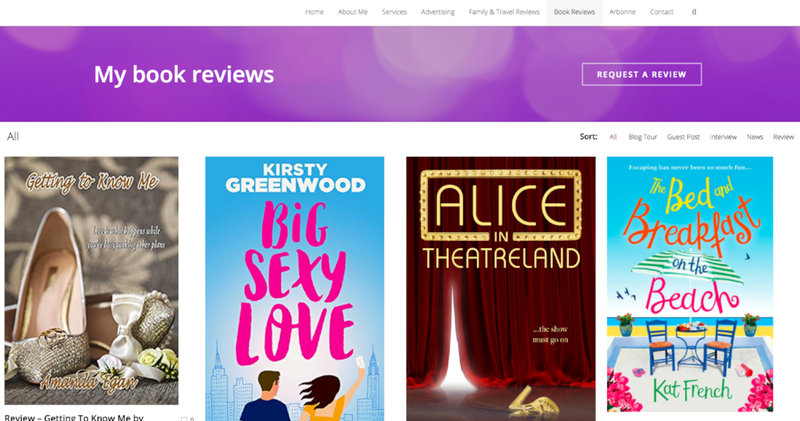 Her website, www.kimthebookworm.co.uk, is also chock full of reviews, news, author chat and services to help writers and publishers promote their work.